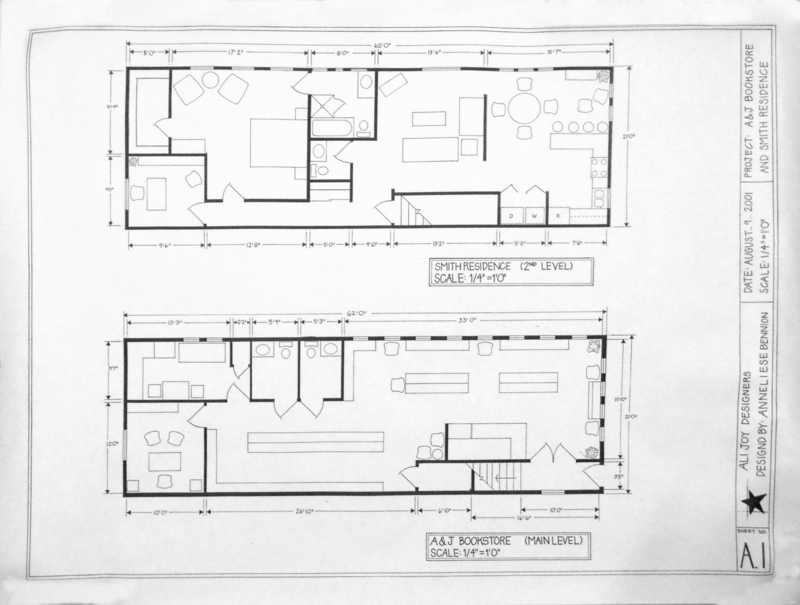 The blue prints and color renderings for a bookstore and residence. This is a project I worked on about 14 years ago when I was doing Interior Designing. It is the design of a commericial space - A & J Bookstore as well as a residential space - Smith Residence. It was all part of one on building. The bookstore was the first floor and the residence was the second. These are the hand drawn blueprints for the the project. 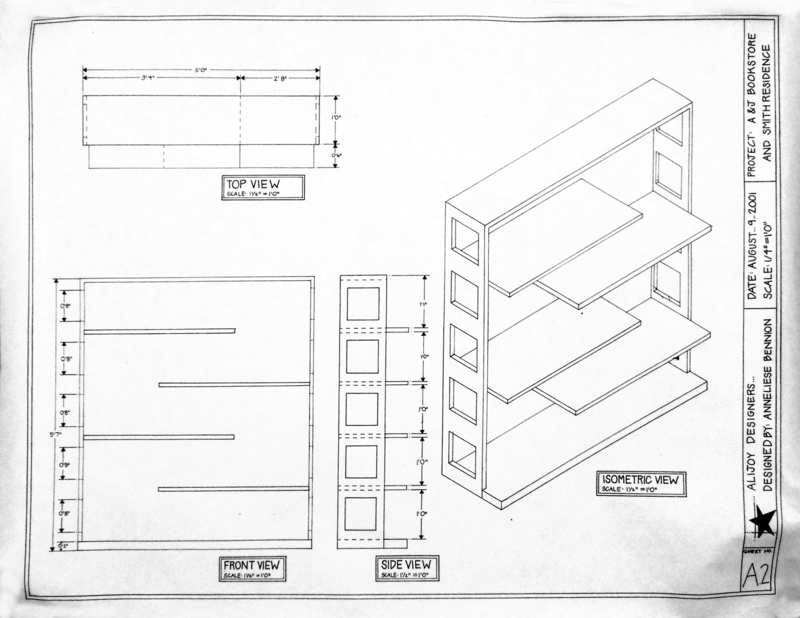 This is the hand drawn blueprint for a custom designed bookshelf for the book store. 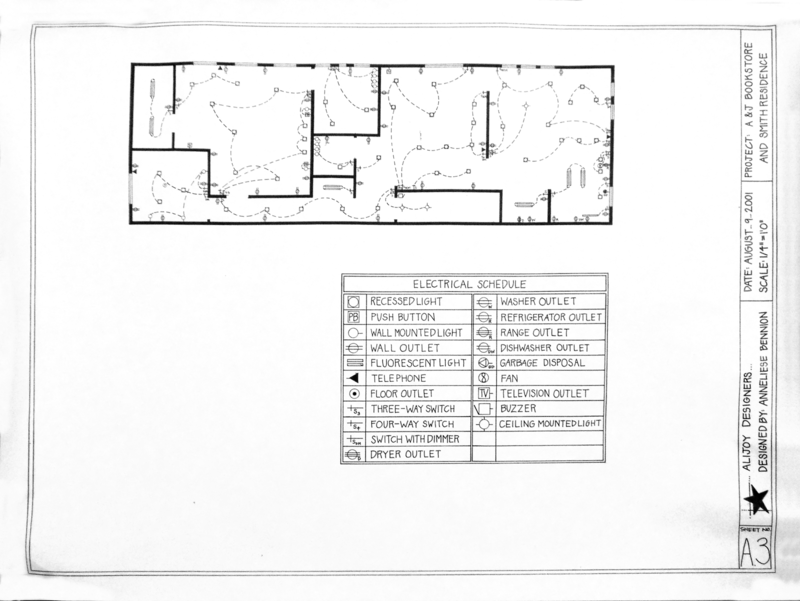 This is the hand drawn electrical schedule for the residence. These are the renderings I sketched out for the project. The bookstore is the first and the residence the second.